You can pay monthly or every 3, 6 or 12 months. coming from different regions of Italy. 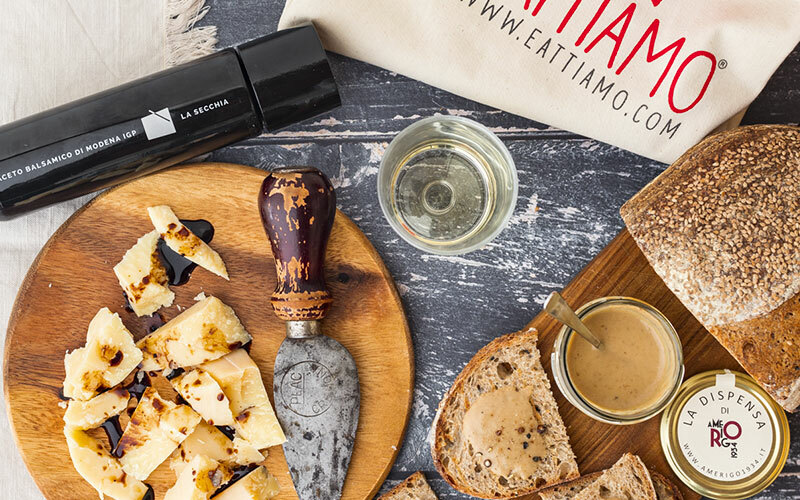 Packaged in a glamourous black bottle, this is an excellent quality Balsamic Vinegar of Modena. Refined, Strong and Persistent. It goes excellently with game meat, hot or spiced cheeses as well as roasted meats. 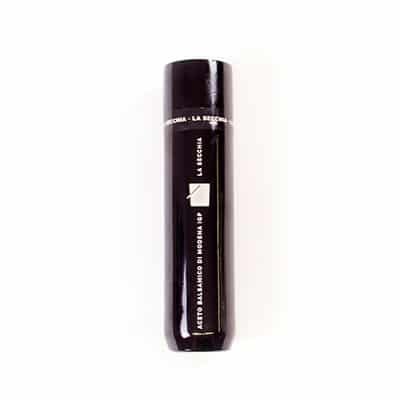 Antica acetaia La Secchia produces its vinegar with the finest selection of raw materials and rigorous and accurate procedures, fruit of a long artisanal experience. This sauce brings the fragrance of the Italian woodland to your dinner table. Made with Porcini mushrooms, its exceptional flavour is guaranteed by high-quality, seasonal ingredients and its highly versatile. 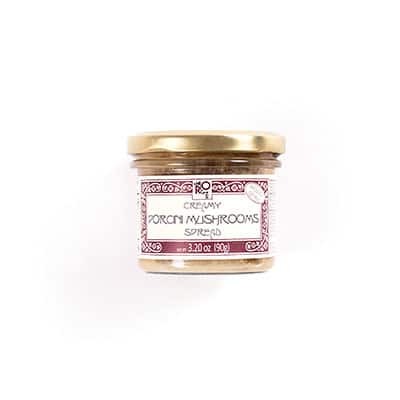 Use the Porcini mushroom cream to enhance the taste of pasta dishes or as an aperitif on a slice of bread. 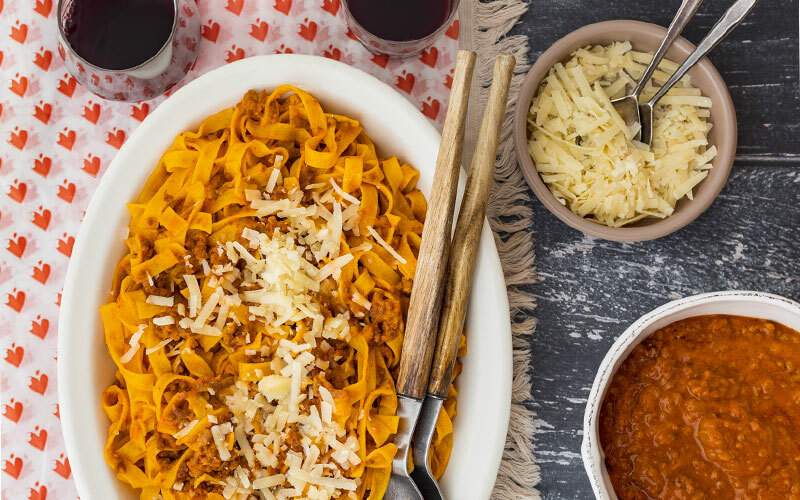 A timeless classic of the Bolognese culinary tradition, Tagliatelle are prepared following the traditional recipe, kneading flour, water and fresh eggs. 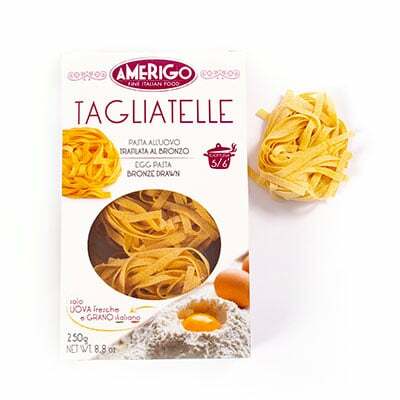 The roughness of our Tagliatelle helps holding the sauce and bringing out its rich round flavour. Porcini mushrooms are an Italian passion. 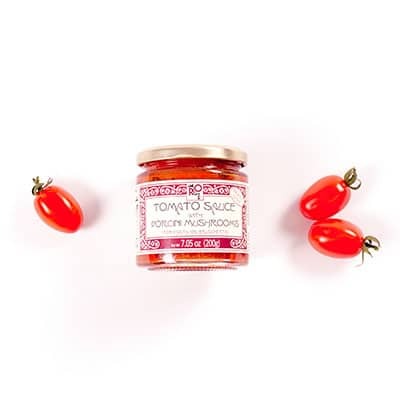 Found locally, they bring an umami flavor, with their rich and earthy notes, to a classic tomato based pasta sauce. 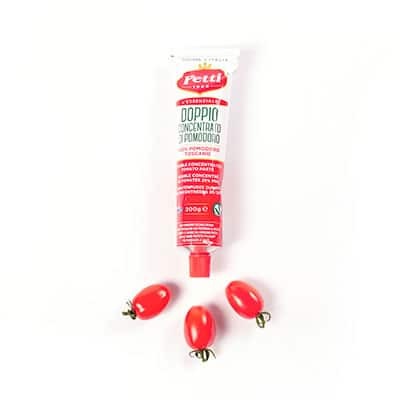 Only the healthiest and ripest tomatoes are selected to obtain this deep red double concentrated tomato paste having a special intense taste. 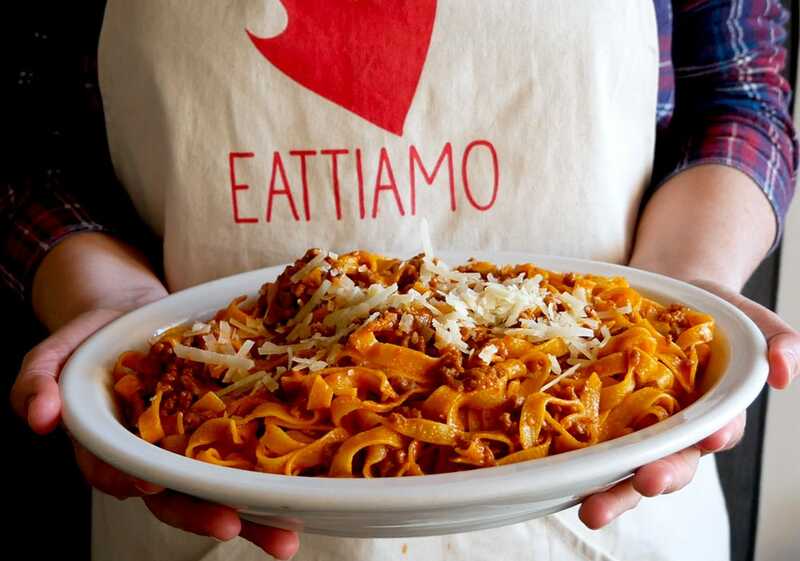 The perfect Tomato Paste to enrich your Bolognese Sauce. Very sweet with a slightly acid aftertaste. 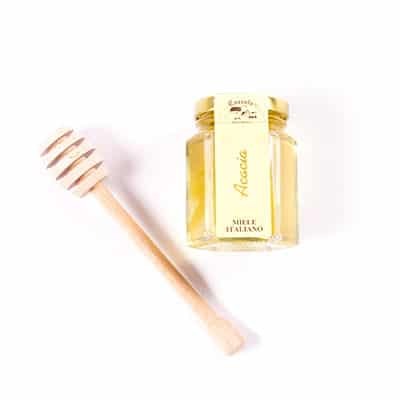 Characterized by its almost transparent straw yellow color, a delicate taste, a vanilla aroma reminiscent of almonds and vanilla berries and has a liquid consistency, Acacia is often the most preferred type of Honey. It's delicious drizzled over cheese or as a sugar healthier substitute in drinks, cakes and pastries. 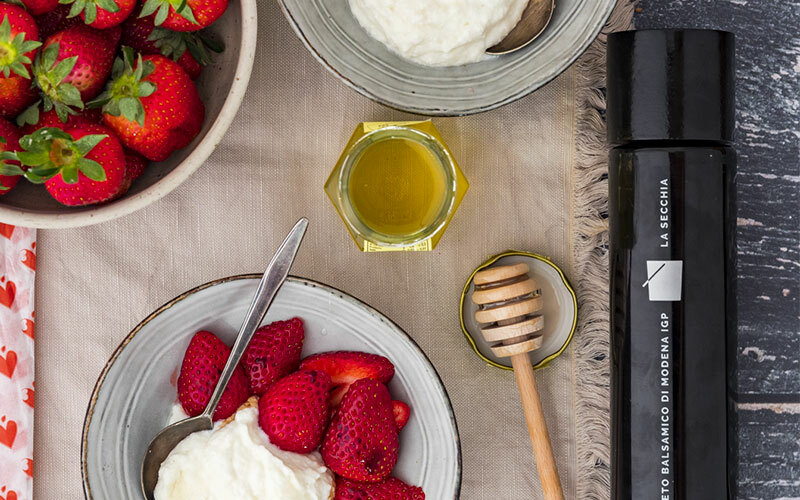 Add some sweetness the right way using this traditionally designed 100% natural wood Honey dipper. Simply dip the grooved end into the Acacia Honey, then slowly twirl over your favorite breakfast, in your cup of tea or whatever you prefer. 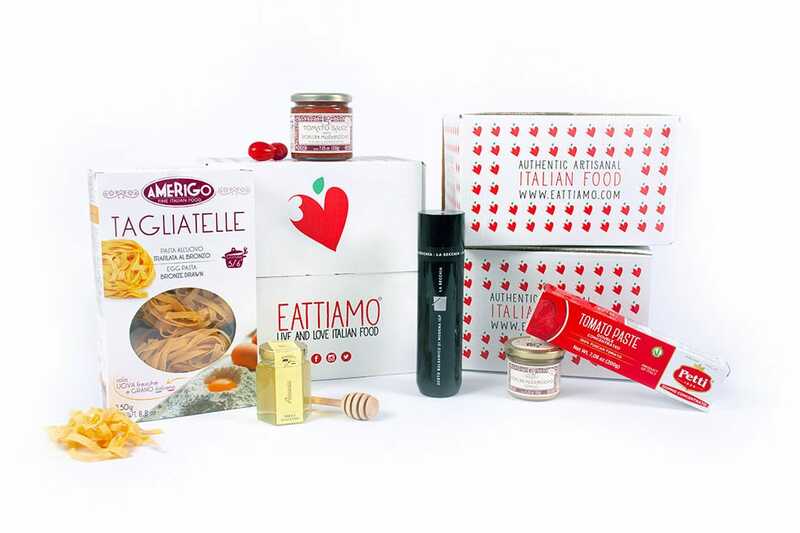 "The only box for a 3 course meal of Michelin quality Italian food sourced from small artisan producers in Italy, curated by experts. An Italian culinary experience comparable to traveling to Italy!"